I'm back with another tutorial. This goes in part with my Luminess Air review. It's a pretty long video because I show you how to pretty much do the whole shebang...from priming to color matching, foundation, blush, contour, bronzer, blush and even cleaning the machine. It's pretty much an airbrush 101 course using the luminess system. If you're interested in learning how to airbrush this is for you! Apply the foundation in lighter layers if you want to build coverage...it looks much better that way. Do not apply too much in one layer. FTC Disclosure: I received the Luminess system for review. I am not affiliated with the company and not paid. These are my honest thoughts. First, JEALOUS that you got this to review! I would LOVE to review it!!!! and second great post. thanks for sharing all your knowledge and insight on it! 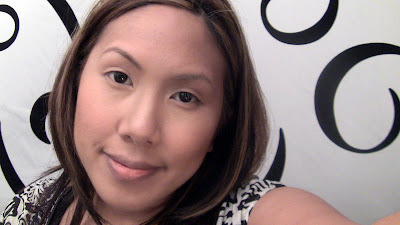 I would love to try out airbrush foundation! I may have to check this out. Thanks for the review. I've seen the infomercials for this! It looks really interesting. Thanks for reviewing it. thank you for this. i will be trying it out when i can. I love your review of Luminess Air! Thanks. Oh, and I had to also learn not to pull back the lever all the way also.